By Bizodisha Bureau, Bhubaneswar, April 14, 2019: Prime Minister Narendra Modi will hold a roadshow here during his fifth visit to campaign in Odisha on April 16. He is also scheduled to address two rallies in Bhubaneswar and Sambalpur on the same day. The prime minister will start his roadshow from near the Biju Patnaik International Airport and reach the public rally venue at Baramunda Ground covering Ganganagar and OUAT Square. 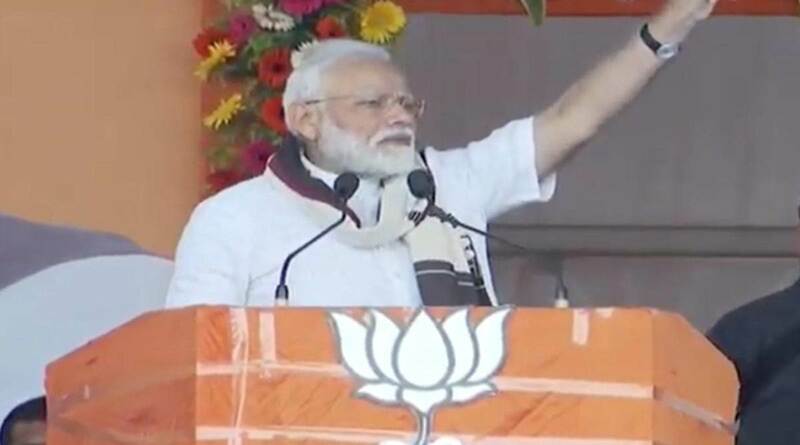 Modi earlier had addressed election meetings at Jeypore in Koraput district, Bhawanipatna in Kalahandi, Sonepur in Bolangir district and Sundergarh. Bhubaneswar and Sambalpur Lok Sabha constituencies and 14 Assembly segments coming under them will go to polls in the third phase on 23 April. BJP president Amit Shah is also scheduled to address two rallies at Baramba in Cuttack district and Dhenkanal on 17 April, party sources said. The Lok Sabha and Assembly elections are being held simultaneously in the state in four phases.